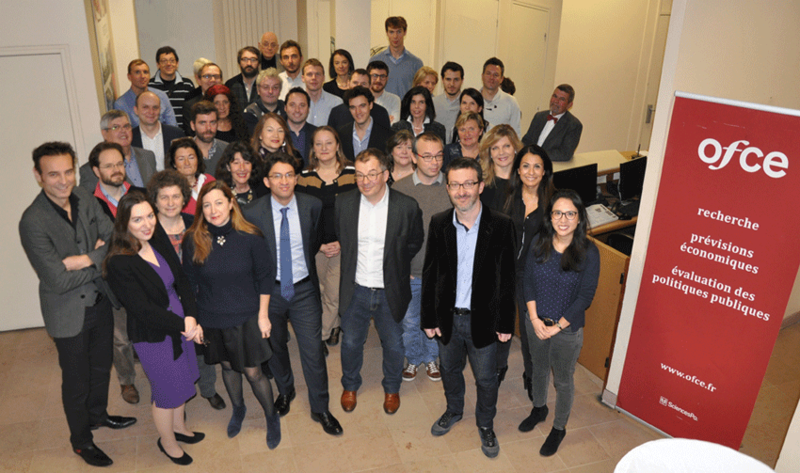 The Paris-based Observatoire français des conjonctures économiques (OFCE), or French Economic Observatory is an independent and publicly-funded centre whose activities focus on economic research, forecasting and the evaluation of public policy. OFCE is headed by Xavier Ragot CNRS and associate professor at the Paris School of Economics. The founding president of the OFCE was Jean-Marcel Jeanneney, a former minister and professor of economics at the Sorbonne, who was succeeded by Jean-Paul Fitoussi, and Philippe Weil, also professors of economics at Sciences Po. Its 1981 founding charter established it as part of the French Fondation nationale des sciences politiques (Sciences Po), and gave it the mission is to “ensure that the fruits of scientific rigour and academic independence serve the public debate about the economy”. The OFCE fulfils this mission by conducting theoretical and empirical studies, taking part in international scientific networks, and assuring a regular presence in the media through close cooperation with the French and European public authorities. The work of the OFCE covers most fields of economic analysis, from macroeconomics, growth, social welfare programmes, taxation and employment policy to sustainable development, competition, innovation and regulatory affairs..